By contrast, the cerebral cortex (which includes the frontal cortex) is a relative newcomer, evolutionarily speaking. The frontal cortex is part of what makes us distinctly human. It gives us the powers of logic and reason, helps us control our behavior, and enables us to solve complex problems. When we do that thing we call ?thinking,? it?s mostly our frontal cortex doing the work. 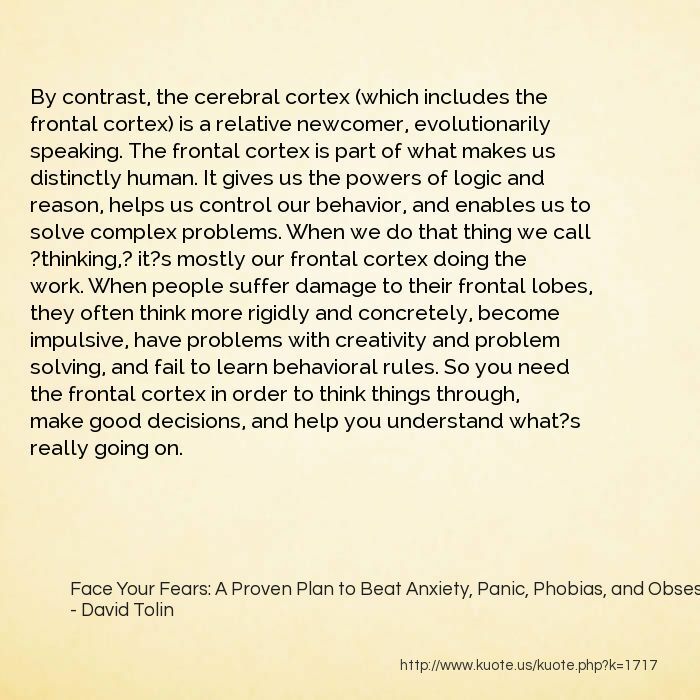 When people suffer damage to their frontal lobes, they often think more rigidly and concretely, become impulsive, have problems with creativity and problem solving, and fail to learn behavioral rules. So you need the frontal cortex in order to think things through, make good decisions, and help you understand what?s really going on. 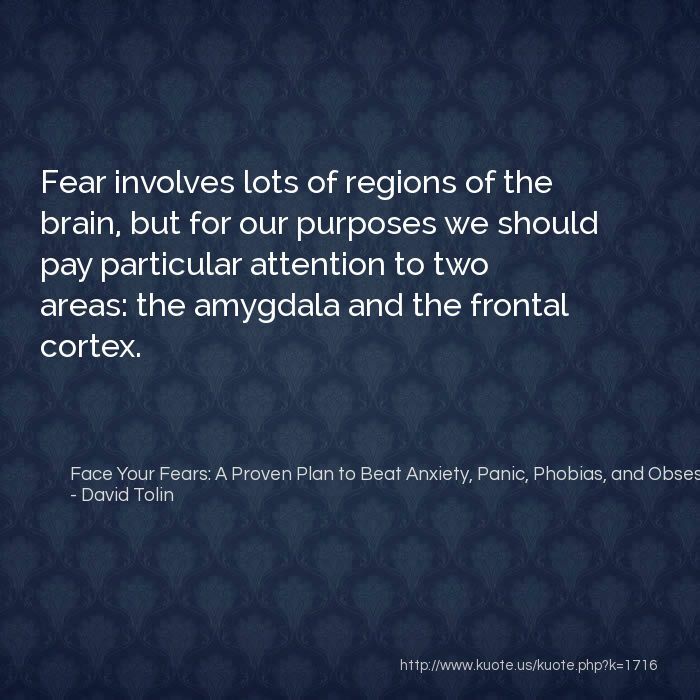 Fear involves lots of regions of the brain, but for our purposes we should pay particular attention to two areas: the amygdala and the frontal cortex. 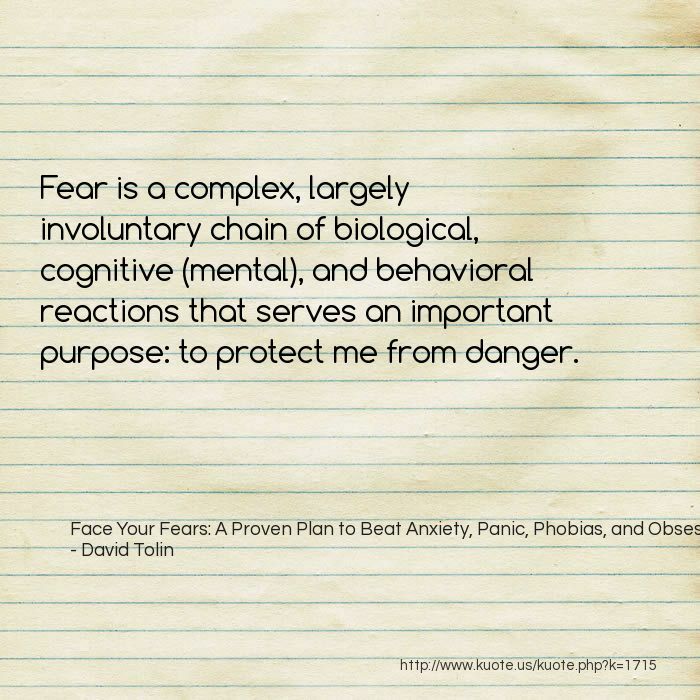 Fear is a complex, largely involuntary chain of biological, cognitive (mental), and behavioral reactions that serves an important purpose: to protect me from danger. 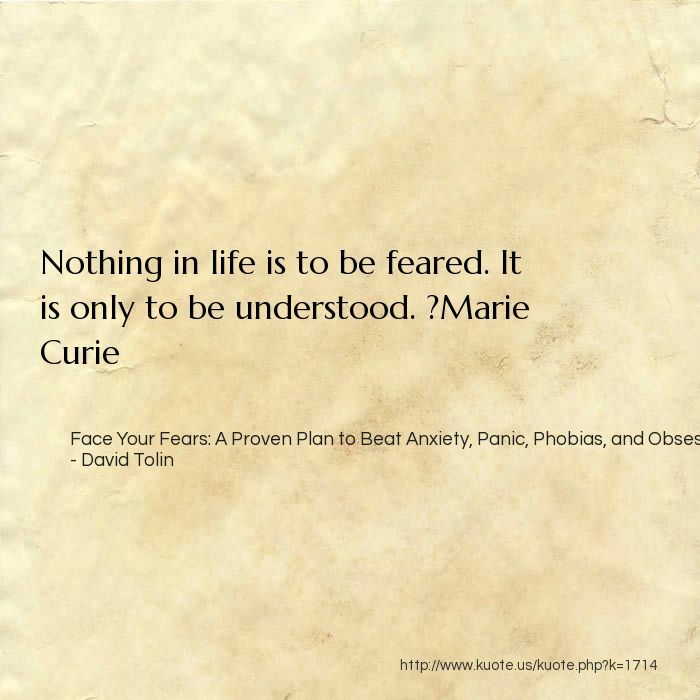 Most of the time, when we experience fear, it?s not a big deal (and, in fact, it can be quite helpful in the right context). 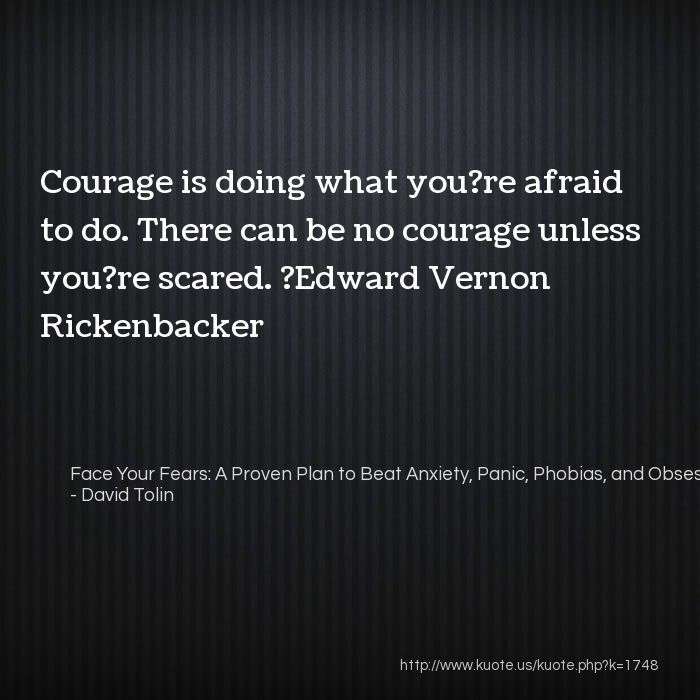 Yet when fear escalates out of control, the impact can be devastating. 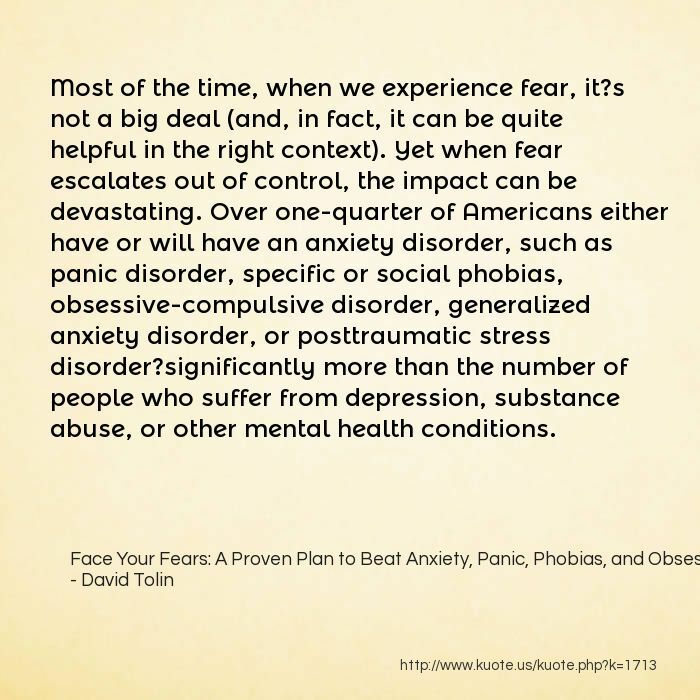 Over one-quarter of Americans either have or will have an anxiety disorder, such as panic disorder, specific or social phobias, obsessive-compulsive disorder, generalized anxiety disorder, or posttraumatic stress disorder?significantly more than the number of people who suffer from depression, substance abuse, or other mental health conditions. 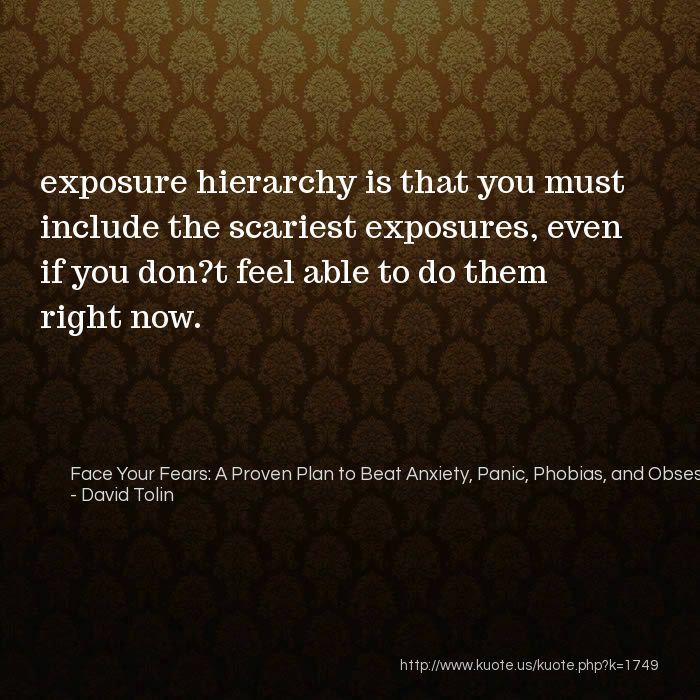 exposure hierarchy is that you must include the scariest exposures, even if you don?t feel able to do them right now. 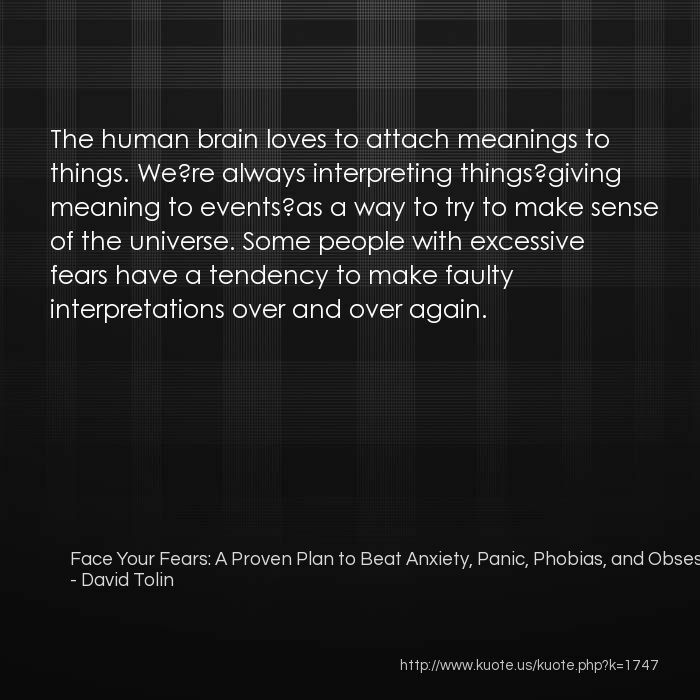 The human brain loves to attach meanings to things. We?re always interpreting things?giving meaning to events?as a way to try to make sense of the universe. 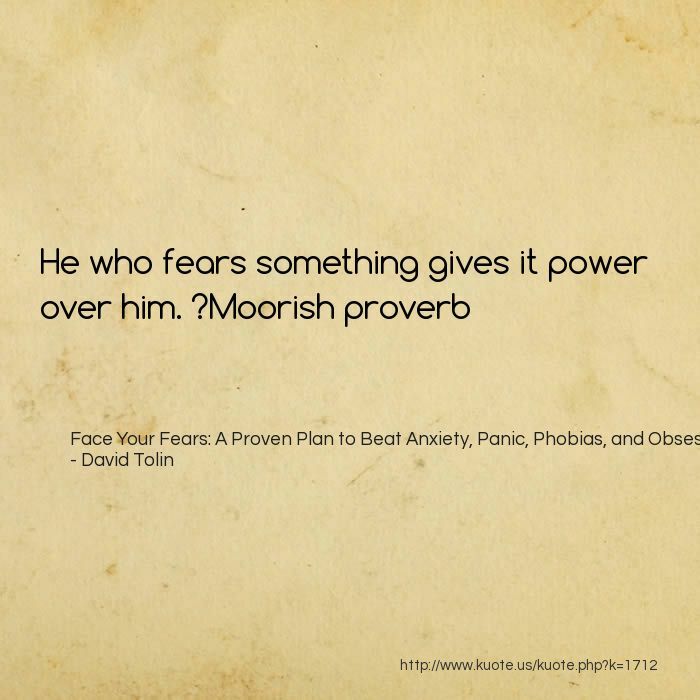 Some people with excessive fears have a tendency to make faulty interpretations over and over again. 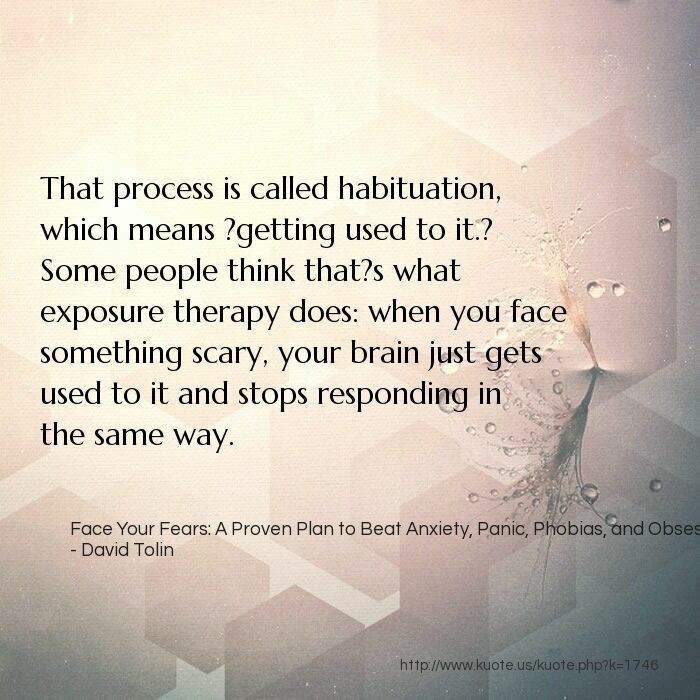 That process is called habituation, which means ?getting used to it.? Some people think that?s what exposure therapy does: when you face something scary, your brain just gets used to it and stops responding in the same way. 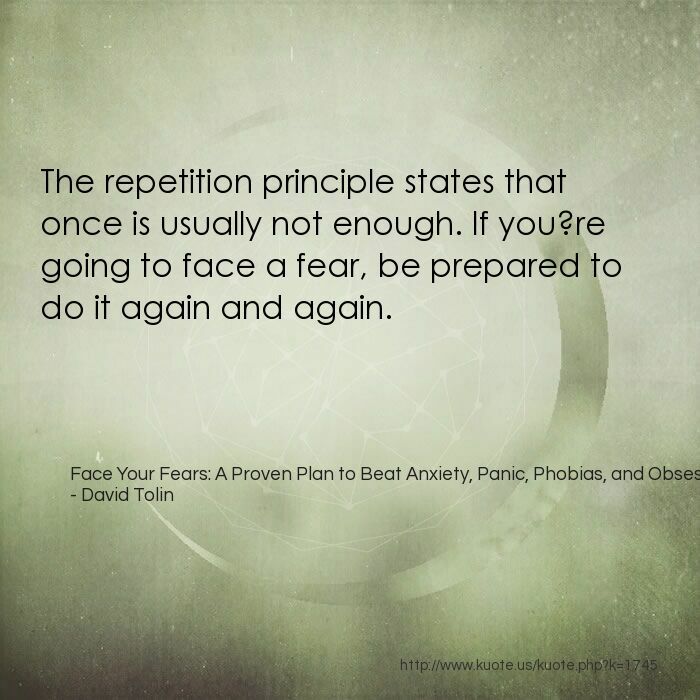 The repetition principle states that once is usually not enough. 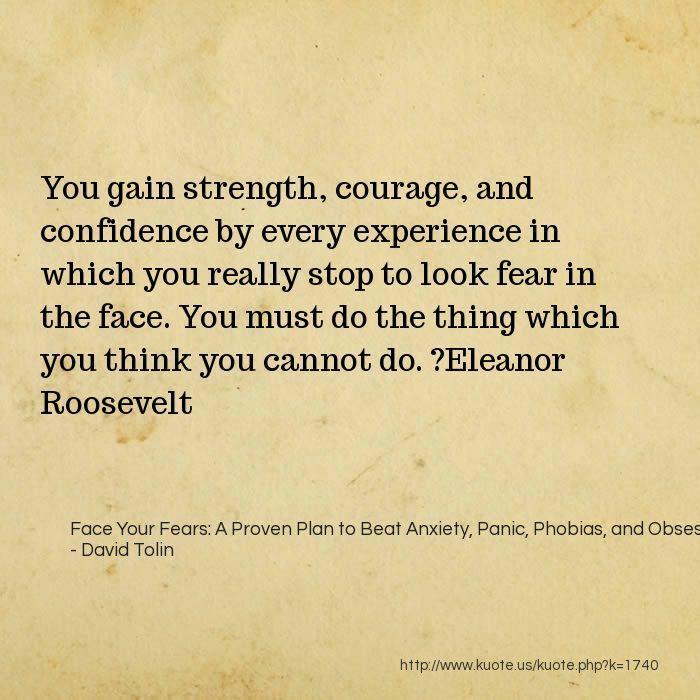 If you?re going to face a fear, be prepared to do it again and again. it makes sense to let your own fear be a guide to how long each exposure should be. 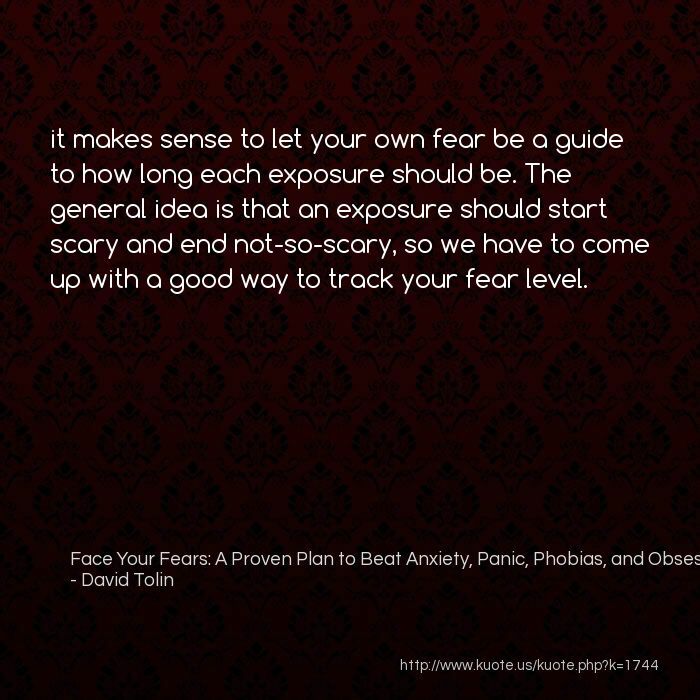 The general idea is that an exposure should start scary and end not-so-scary, so we have to come up with a good way to track your fear level. There is no hard-and-fast rule about how long to do an exposure; however, some research suggests that longer is better than shorter. 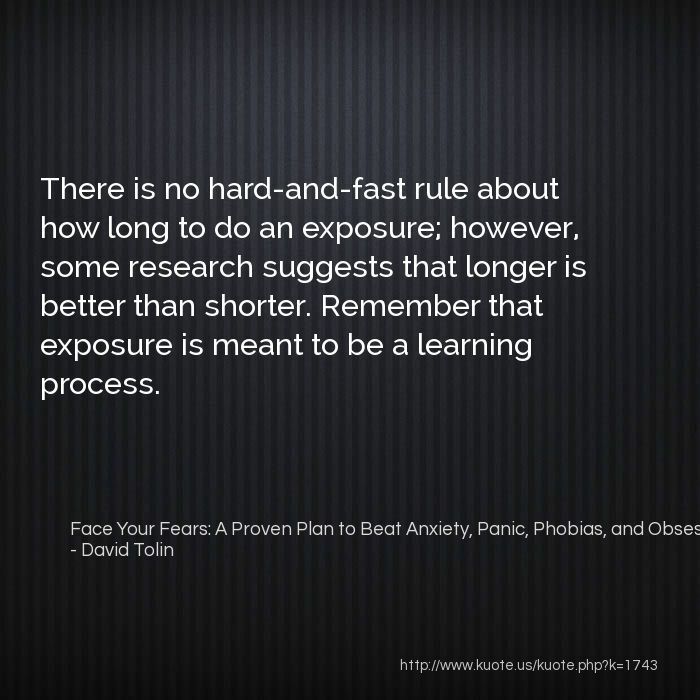 Remember that exposure is meant to be a learning process. you are exposing yourself to the situations, activities, or objects that scare you. 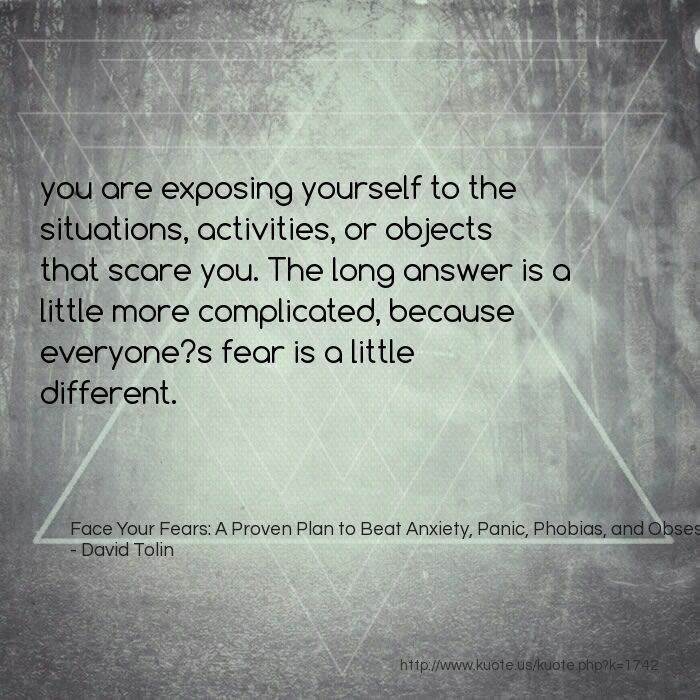 The long answer is a little more complicated, because everyone?s fear is a little different. 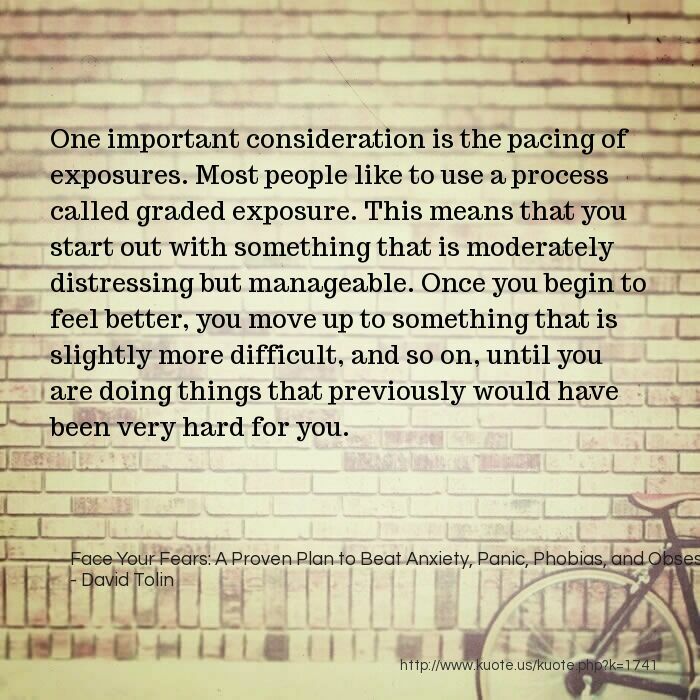 One important consideration is the pacing of exposures. Most people like to use a process called graded exposure. 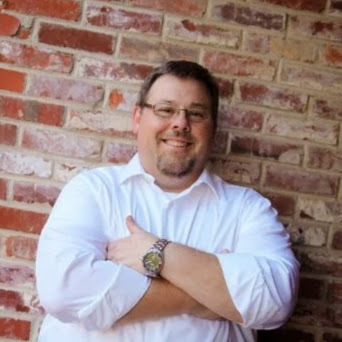 This means that you start out with something that is moderately distressing but manageable. Once you begin to feel better, you move up to something that is slightly more difficult, and so on, until you are doing things that previously would have been very hard for you. 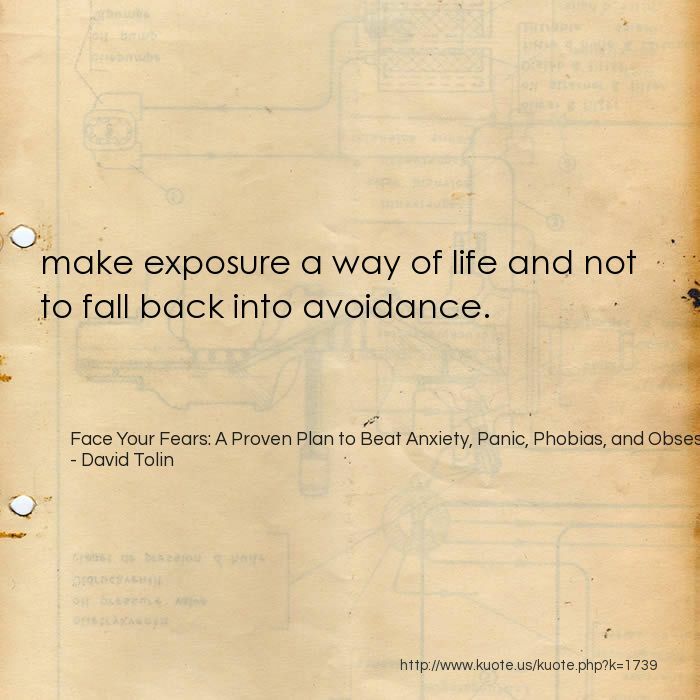 make exposure a way of life and not to fall back into avoidance. 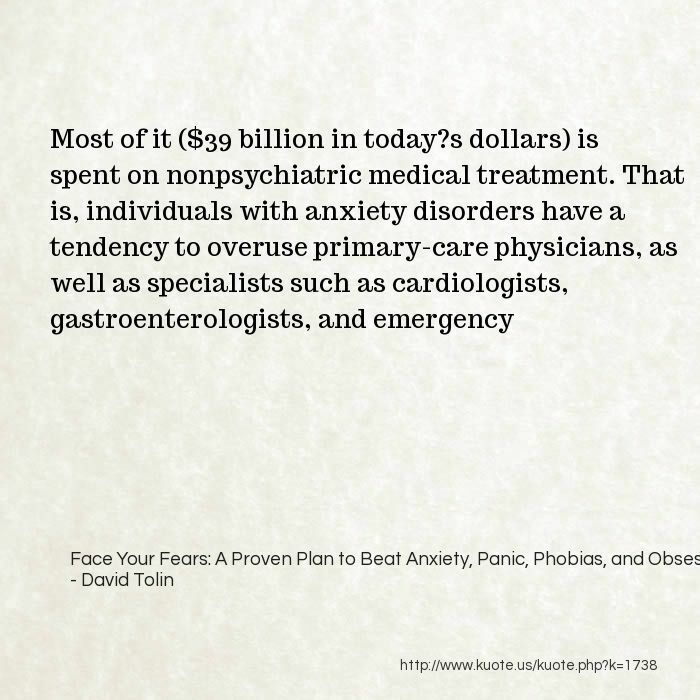 anxiety disorders are quite common: 29 percent of Americans either have or have had a diagnosable anxiety disorder. These rates are significantly higher than those of mood, substance use, or other mental health disorders. 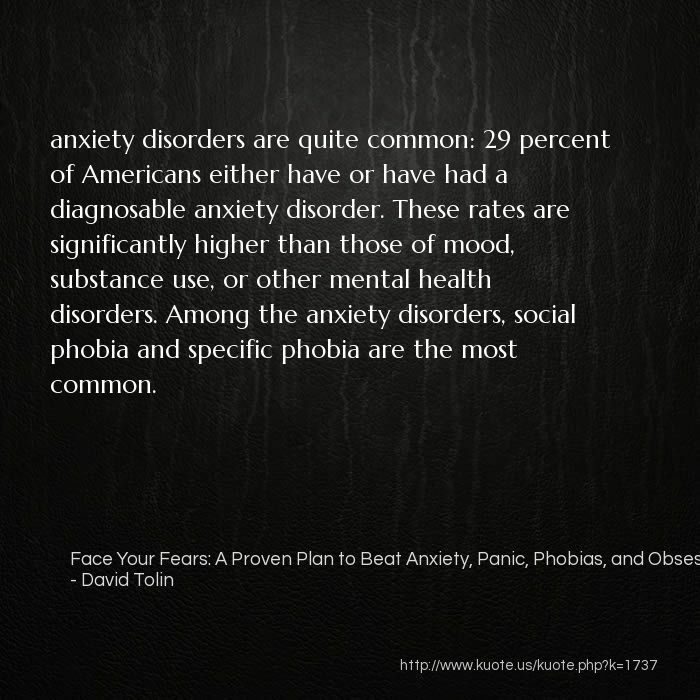 Among the anxiety disorders, social phobia and specific phobia are the most common. 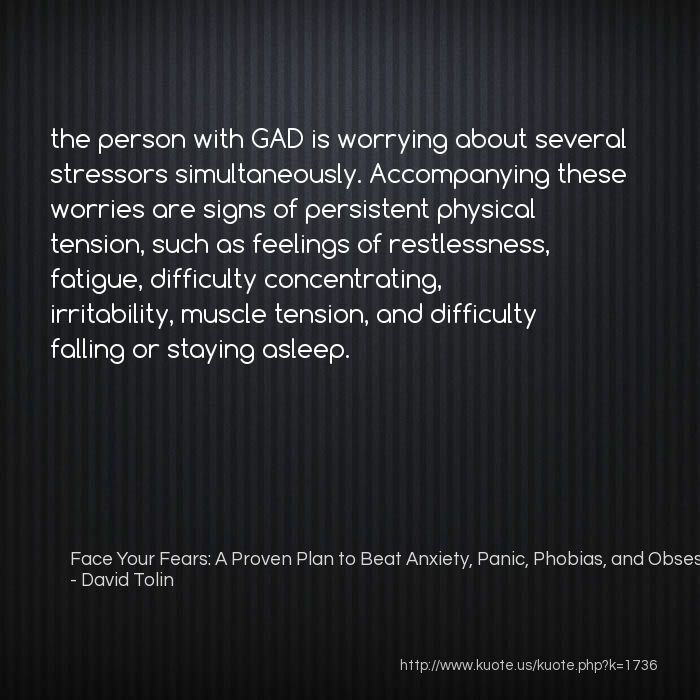 the person with GAD is worrying about several stressors simultaneously. Accompanying these worries are signs of persistent physical tension, such as feelings of restlessness, fatigue, difficulty concentrating, irritability, muscle tension, and difficulty falling or staying asleep.